Have you seen the PBS Masterpiece show Home Fires? It is one of the shows I am currently streaming through and it is quite good. The series is set in WWII England and based around a group of women who face the struggles of the time. It is an excellent series for watching while stitching. Highly recommended. 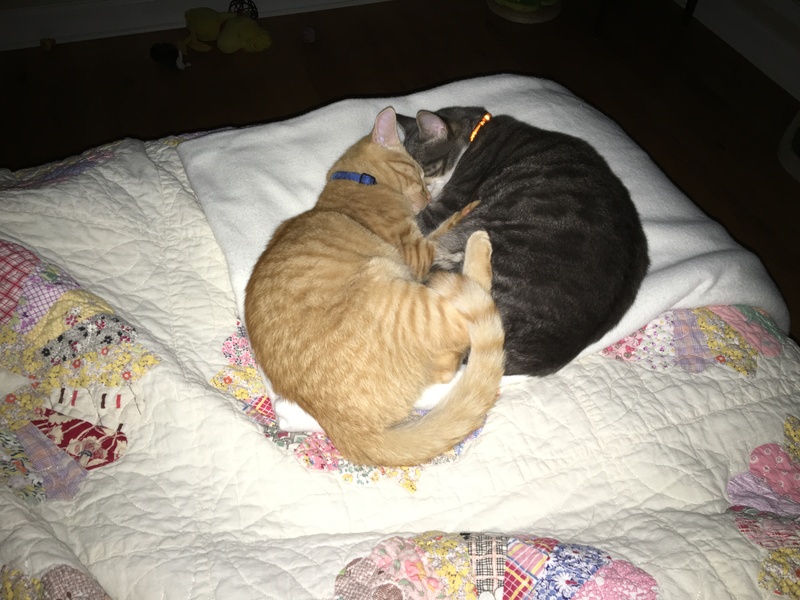 The first photo was taken while they were sleeping in the pitch black night on the end of our bed. I had to use the flash, so it only looks bright. The second photo is of Ebby enjoying a typical Saturday morning with us at breakfast. 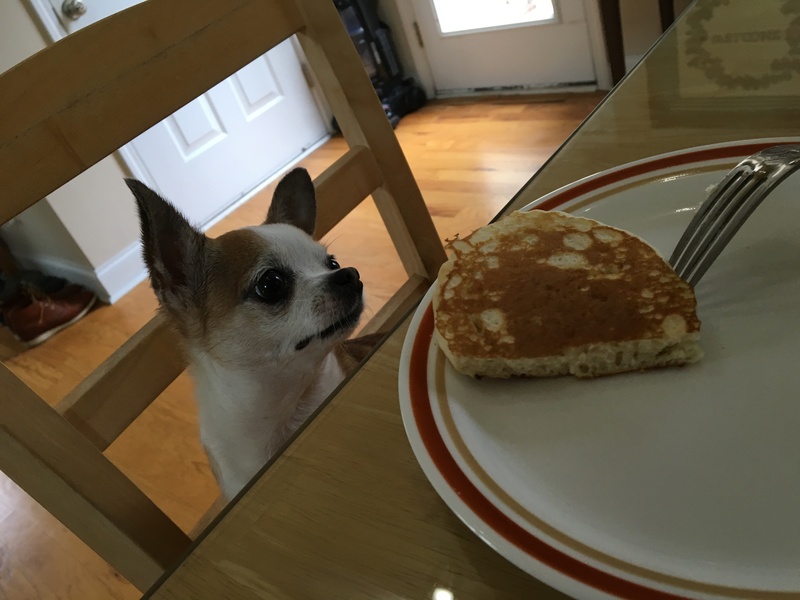 Saturday is pancake day at our house and the one day she gets to eat as a special guest. Ebby loves her pancakes! Eliot and Emerson certainly know how to keep warm…but who’s keeping Ebby comfy? Thanks for the picture update! You do know that I love BBC shows. You are such an enabler! But then…so am I, LOL! !